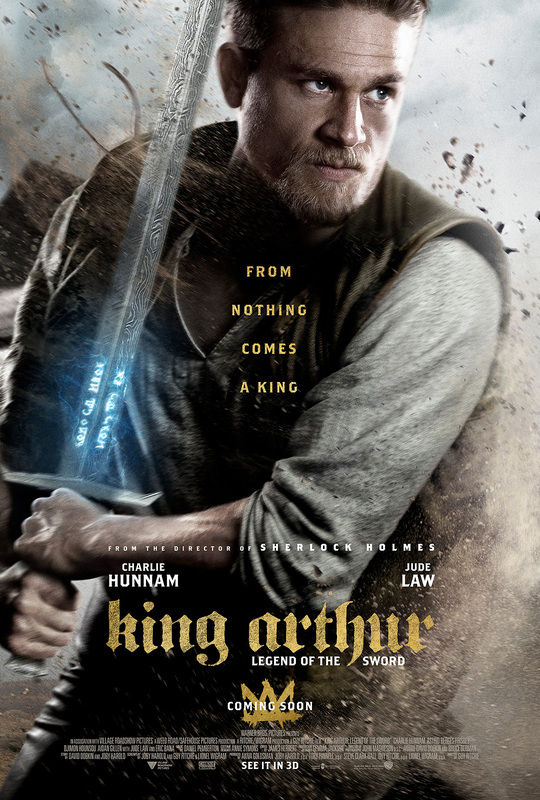 Directed by Guy Ritchie, this version of the legend finds Arthur, played by Charlie Hunman, robbed of his birthright and living a rough life in the back alleys of the city. Once he pulls Excalibur from the stone, he must accept his legacy. The cast includes Jude Law, Astrid Bergès-Frisbey, Eric Bana and Djimon Hounsou.